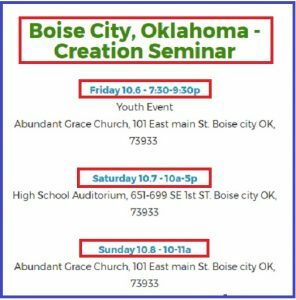 Kent Hovind To Perform In Boise City, OK! – Kent Hovind v. Robert Baty – The Great Debates! Home→Kent Hovind To Perform In Boise City, OK! 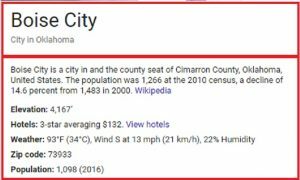 I spent the first 55 years of my life in Oklahoma and so Kent’s scheduled appearance in Boise City, in the Oklahoma panhandle, caught my attention and interest. Kyle Gibson is the man facilitating the production of the events. Kyle was kind enough and interested enough to engage me in a discussion of Kent’s appearances in Boise City. Despite being aware of Kent Hovind for many years, it appeared to me that Kyle was not particularly well-informed of Kent’s criminal and related histories. The potential audience for the events includes portions of Oklahoma, Kansas, Colorado, Texas & New Mexico. It will be interesting to see how it goes and how the local media might cover the events. I wrote a letter to The Boise City News, to the editor/news director. That letter is reproduced below. For a more complete history of my coverage of the Hovind story, see other articles on this website. Subject: Kent Hovind Visits Boise City! I have been chatting the last couple of days with Kyle Gibson about him and his church bringing Kent Hovind to Boise City for some performances, one of which is scheduled to be in the High School auditorium. Your paper may be asked to provide advertising for the event and you may even be considering, or will consider, running a news report or human interest story regarding his appearances in Boise City. If so, I thought I would offer my services for whatever use you might make of them if you wish to develop a story as to who Kent Hovind is and what he has been up to over the years. Basically, he’s an unrepentant federal felon who sent his wife to prison and still has about a 10 months left on his 3 years of Supervised Release after spending about 9 years in federal prison (tax and structuring crimes and obstruction). He also owes millions in personal income tax liabilities which includes the monetary FRAUD penalties. The Monroe Journal, a paper similar to yours in the county next to where Kent currently has his 145 acre compound in Alabama, ran a front page story last year which tried to present Kent’s move to Alabama in a favorable light. In that article they quoted Kent taking a cheap shot at me. I called them on it and they agreed to run a response from me, which resulted in several follow up articles. That record might give you a little history and insight into how you might want to cover the event in your city. The Monroe Journal editor told me during the course of all of that that he wished he had never covered the Hovind story. So, you might want to be careful regarding any coverage you give to the event in your paper. There is, of course, a lot more to the Hovind story, but I will not bother you further. I just thought I would drop you a line and give you some suggestions and a “heads up” on a story developing in your neck of the woods. 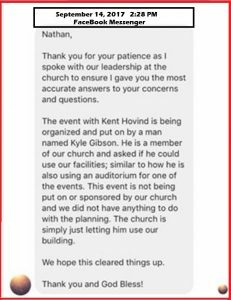 This is a screenshot of the FaceBook Messenger response to Nathan Zamprogno, by the Abundant Grace Church of Boise City. 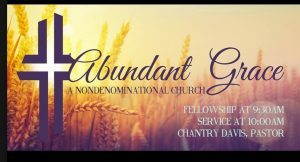 The Abundant Grace Church of Boise City, OK, where Kent Hovind is scheduled to perform, has apparently scrubbed it’s FaceBook page at the following link of references to the Hovind appearance, including comments from others. little building is a big deal, kind of scandalous. although that’s not so scandalous, his past is. He spent ten years in prison for not paying his taxes. eye! I don’t want to be that guy! Secondly, I’m not responsible for what people believe. end, I just want Truth. Grace, and so we did. deserve, and mercy is not getting what we do deserve. education,” I didn’t go to, much less grow up in, church. His written word says and means. Want to know why? may see my good deeds and praise God’s Holy Name. stuff is not all in Kent’s “past”. I’m concerned you’re hosting an event for Kent Hovind. No one on earth has less integrity than him. Run a mile from anything even remotely connected with him! He’s a shockingly bad representative of the Gospel. He couldn’t tell the truth if his life depended on it. Don’t fall for the hokey charm. than Dawkins, Hitchens and Harris all put together! message you sent to the church via Facebook Messenger. This exchange has also just taken place on Robert Stanley’s page! Jesus doesn’t do that, he is full of mercy and grace. I have a similar story to yours above. try and destroy them because of it, Yes, talking to you Mr.
in need of it as all of us are!! “bringing up the past and trying to destroy someone”. and he flat out lies about it as he promotes his false narrative. Maybe you and Chantry are fellow penitants regarding your past. details regarding Kent’s present and/or past. Robert–just keep up your witch hunt, you are one unforgiving person. Why is it your responsibility to reproduce trash? He paid his time, is there any forgiveness of that anywhere in your mind/heart? Kelly, but thanks for the lame attempt. It’s not a witch hunt. I am not reproducing trash. I am not dragging up a person’s past to re-examine. not particularly relevant to the issues under consideration. join with Kent in opposing my position on those issues. I never did “cover” for Dr. Hovind. that he did do something that wasn’t kosher. So get your facts straight Robert. doing and are acting like exactly as I described. Well, been around that bush before, Kelly. regarding Kent’s criminal and related history? accusing me as part of your attempt to cover for Hovind.